Change of perspective due to high altitude imagery presents a totally different view of the terrain/buildings. When seen from above, even the famous and well known landmarks, cannot be easily recognised. However with practice one can make out the shape and identify most of the buildings. 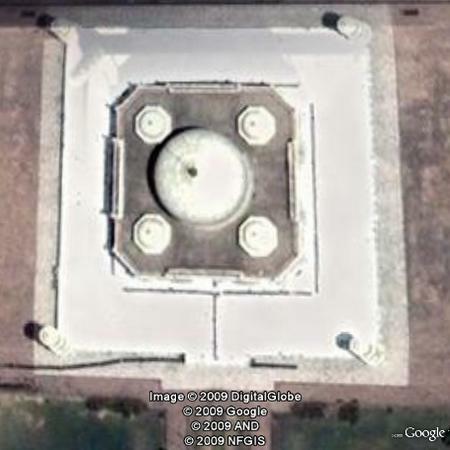 Starting from today, every 2nd/3rd day I will post a Google Earth view of some World famous building/landmark for the readers to guess what it is. Depending on the response I may from time to time give hints for easy identification.